Many thanks for such a wonderful day on Friday. Everyone had an amazing time and everyone was really impressed with the venue. I am writing with heartfelt thanks to let you know that our lunch party was very much enjoyed and surpassed our best expectations. It was a great pleasure and privilege to hold the lunch in Royal Blackheath Golf Club, where we located the names of my father's father, mother and brother on the boards, my father himself being a lifelong member and who must have walked at least 12,000 miles playing around the course through all his years of active membership. The food was delicious, the lamb was particularly tender and for dessert we seemed to have two desserts, fruit and creme brûlée, in one. We asked the staff to convey our thanks to the chef for producing a marvellous meal, not least providing a very tasty mini lunch for the one year old baby. The staff could not have been more helpful, pleasant and patient. Everyone felt very much "at home" and with the club surprisingly quiet it seemed we had the lovely house virtually to ourselves. This also allowed our counter tenor son to give full voice to the welcoming arias as my parents stepped through the door to meet with the assembled surprise party. Thank you again for your assistance in organising an enjoyable and memorable day and please pass on our thanks to all concerned. Last night we had a very special event at Royal Blackheath Golf Club for 90 people we had an amazing three course meal which was top quality in every way. The chef produced the most delicious lamb I have ever tasted with seasonal vegetables. The starter of smoked salmon and dessert of lemon tart absolutely brilliant. The event organiser and catering staff did everything they could to make the evening a success. Everyone loved the venue and I would highly recommend it. We had VIPs and all admired the house and dining room. I just wanted to say Thank You so very much for the wonderful afternoon tea my Nan and I enjoyed last Thursday. Everything was just perfect, and she really felt like the Queen for the afternoon!! Compliments to the chef for the fantastic food, and thank you so much for opening the door on our arrival, (which made us feel very important!) and organising everything for me. Also, will you please pass our thanks and appreciation onto 'Heather' who looked after us for the afternoon - she was just brilliant!! The champagne was such a lovely touch and very much enjoyed - it really showed an extra effort to make a special occasion that bit more special. The whole afternoon was perfect, and we couldn't have asked for more. I will definitely be back one day, and would highly recommend you!! "Thanks very much for helping us to organise our party. Our staff has a fabulous evening, in fact some have also mentioned having our next party at the same venue. The food was delicious and of a very high quality and the staff were very professional. An excellent evening was had by everyone. Thanks again." “Have just returned from an afternoon tea here with four girlfriends. I can't recommend it enough! Myself and a group of ladies have been attending afternoon teas across the UK for the last 30 years. We've been to the Savoy, Claridges and The Ritz and we all felt that our experience at Eltham Lodge was one of our best so far. The service from the waiting staff was superb. In my opinion, Eltham Lodge is amongst the crème de la crème of British Afternoon Tea. "We had a wonderful day of golf and fun. I look forward to visiting the club again in the coming months." "An excellent day, thank you." "Old and traditional golf club. 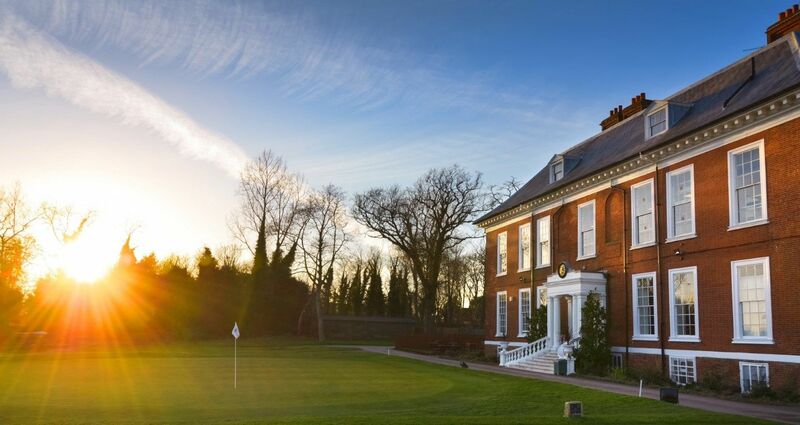 The course itself is a joy to play on and the clubhouse enriched in history." "Extensive works have been carried out on the course and the experience was most enjoyable. The members have taken every effort to maintain the course's beautiful surrounding whilst playing an excellent track"
"Excellent course, lovely clubhouse, fantastic location. Would highly recommend." "if you get the chance give it a go great old course very friendly staff onsite"
"Despite extensive works being carried out on the course the experience was still enjoyable. The members have taken every effort to maintain the course's beautiful surrounding whilst playing an excellent track"